Sorry I've been MIA, I've been checking off the to do list before baby M arrives! One change we have made in the past cpl weeks, is switching out k's twin bed to a full size bed. I looooved her adele twin bed from Restoration Baby and Child but I will use it down the road, maybe adding another and doing a twin double bedroom for K upstairs. In the meantime, we are now using the Emerson Headboard in a full size. What does that mean? More room for mommy and daddy and K to all hop up on the bed for night story time. SOOOOO much nicer! K is really liking the extra space as well! We are on the hunt for new bedding so stay tuned! I'm leaning towards some fun full bedding from Serena and Lily, have you seen anything cute lately that I should check out? 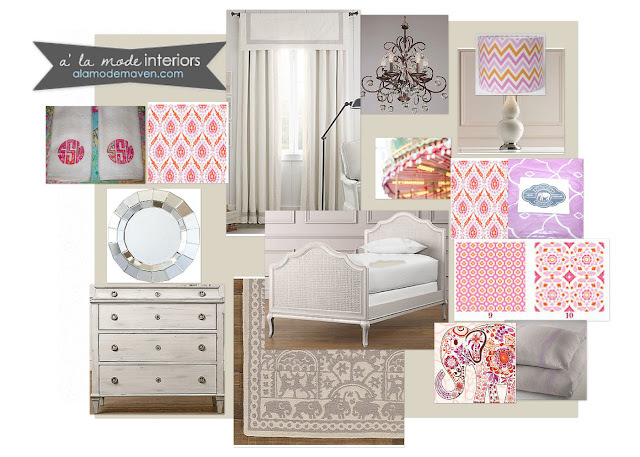 Love her space, the headboard is adorable. 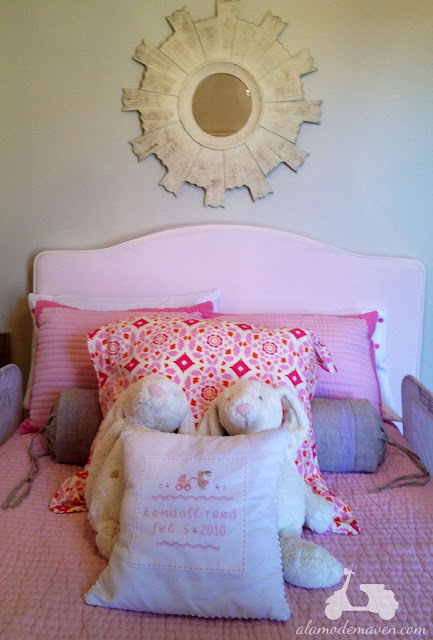 We recently did Madison's big girl room and we also decided to go with a full size bed (guard rails too). She loves it. 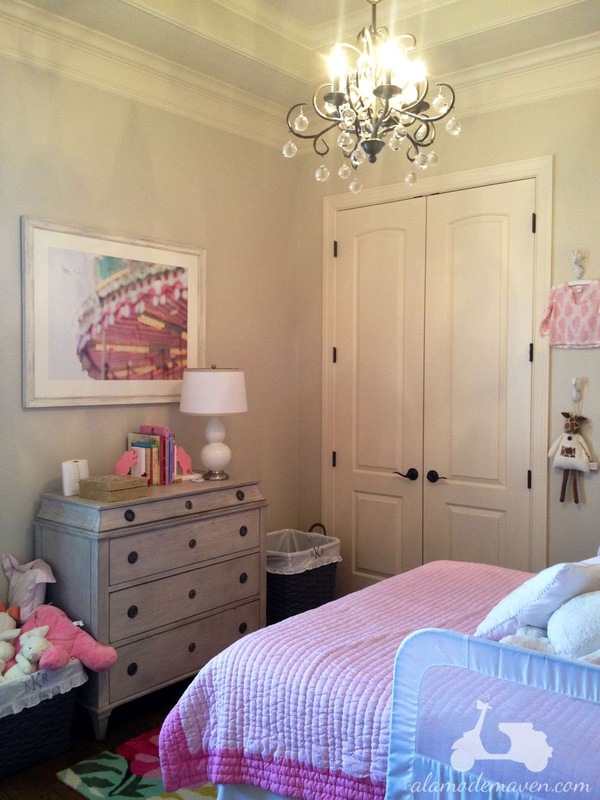 Wish we could have seen her big girl room before you changed it up again. I was looking forward to seeing all the fabrics you chose. There were several posts showing the fabrics posted, did you miss them? K's bed is darling. Love the dresser and the chandelier. Hope you're doing well Shelli. Your family of 3 is soon to be 4! Any day, right? Love the mirror over her bed, but wouldn't you rather have something up there she can't knock, pull down and get hurt by? Something soft like a painting on unframed canvas or a decal? I'm always worried about my kids getting hurt. Just a thought. Good luck with your new baby! We have a full for Riley too and we love piling on there. And yes, the older they get the more toys they have EVERYWHERE! Hope you are doing great! Looks great! I think her toy box and hamper are PRECIOUS!